So, the Gardener lopped off the tops, cut out the stems, sliced them up, and cooked them like collards with a red pepper and a ham hock. He simmered them until the greens turned soft and the ham fell off the bone. 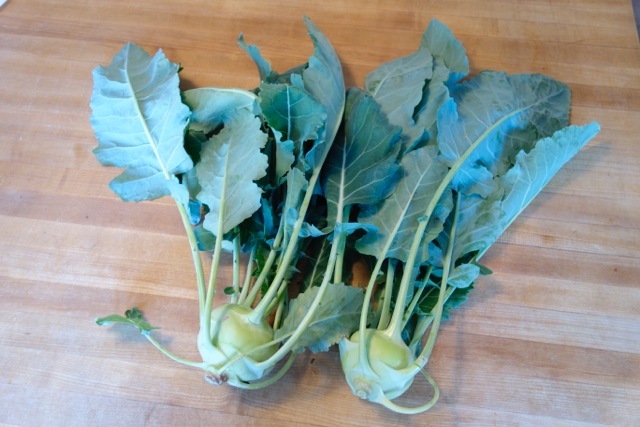 Turns out kohlrabi tops make a tasty mess of greens – flavorful and a bit milder than collards. What didn’t get eaten the same day went into the freezer in serving size portions. Well done, Gardener. Now we know that kohlrabi tops are good to eat.